Taking the pole at 185.533 miles per hour around Daytona International Speedway for the ARCA Racing Series Lucas Oil Slick Mist 200, The #41 Chevrolet of Ty Dillon claims the first competitive pole on the resurfaced 2.5 mile oval circuit. Handily beating the times of Venturini Motorsports drivers Kyle Fowler and Canadian Steve Aprin, 18 year-old Ty Dillion (the grandson of NASCAR Sprint Cup team owner Richard Childress and brother of 2011 NASCAR Camping World series driver Austin Dillon) has earned his second pole out of 4 total ARCA Racing Series starts. Matt Merrell and Bobby Gerhart 5-time reigning winner of the ARCA 200 mile race at Daytona fills out the top-5 starters for Saturday afternoon. With 43 cars completing the Lucas Oil Slick Mist 200 grid, 4 countries of male and female racers will be suiting up for the 2011 edition of the event. Some notable names starting this event will be NASCAR regular Ricky Carmichael in 7th place, 2011 Toyota All-Star race winner Jason Bowles in 16th, Venezuela INDYCAR driver Milka Duno in 23rd and 9-time ARCA champion Frank Kimmel starting 26th. 76 years young, NASCAR Cup series winning car James Hylton will start the ARCA Lucas Oil Slick Mist 200 in 35th place driving his #48 Ford. 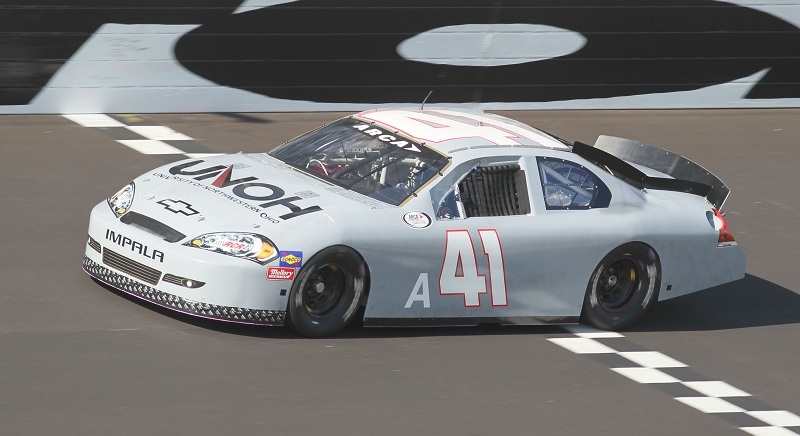 Assembled as the first stock car race to be run on the smooth, oval pavement, the Lucas Oil Slick Mist 200 for the ARCA Racing Series is likely to be closely examined by NASCAR as drafting speed, tire wear and the racing itself is less predictable than previous years. Judging qualifying for the ARCA race alone, single car speeds around the 2.5 oval Daytona International Speedway is 4 miles per hour faster than the time trial laps in 2010. The first race kicking off the 2011 ARCA Racing Series presented by Menards, the Lucas Oil Slick Mist 200 at Daytona International Speedway is set to start at 4:30 PM Saturday afternoon.